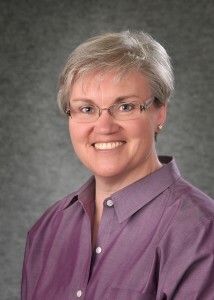 Dr. Curfman is a Physical Therapist with over 26 years experience and is Clinical Specialist for Rapid Rehabilitation. She has received recognition by the American Board of Physical Therapy Specialties (ABPTS) as an Orthopedic Certified Specialist (OCS). She also holds specialty certifications in Manual Physical Therapy (MTC), Augmented Soft tissue Mobilization (ASTYM™), Intramuscular Manual Therapy/Dry Needling, Lymphedema Management, Selective Functional Movement Assessment (SFMA) and Functional Movement Screening (FMS), and Golf Fitness. She received her advanced doctorate (DHSc) in Physical Therapy from the University of St. Augustine (2000), with concentrations in Orthopedics, Manual Therapy, and Anatomical Applications in Clinical Problem Solving. She holds a Master of Science in Applied Anatomy and Physiology from Boston University (1991) and a Bachelor’s of Science in Physical Therapy from the University of Pittsburgh (1985). She has held academic appointments at numerous universities and is currently on the online faculty for the University of St. Augustine where she teaches Functional Human Anatomy. She is an accomplished author, teacher, and researcher, receiving accolades in each of these roles. She enjoys cycling, music, backpacking, golf, gardening, and reading.